Showing recent results 1 - 11 of 11 products found. 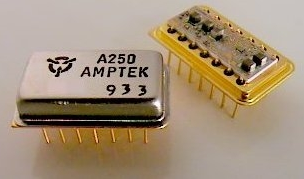 A250CF CoolFET® - Amptek Inc. 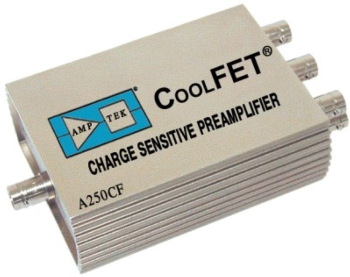 The Amptek A250CF CoolFET® Charge Sensitive Preamplifier is the lowest noise, general purpose, preamplifier available. It is designed to give the ultimate performance when used with either low or high detector capacitance detectors and is a direct replacement for other higher noise charge sensitive preamplifiers. The A250 is a hybrid state-of-the-art Charge Sensitive Preamplifier for use with a wide range of detectors having capacitance from less than one, to several thousand picofarads. 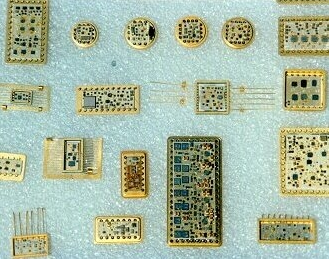 Such detectors include silicon, CdTe, CZT, and HgI2 solid state detectors, proportional counters, photomultiplier tubes, piezoelectric devices, photodiodes, CCD’s, and others. CUBE is a CMOS complete low noise preamplifier that can replace commonly used JFETs for detector chips readout. CUBE is a charge sensitive preamplifier operating in a pulsed reset regime. 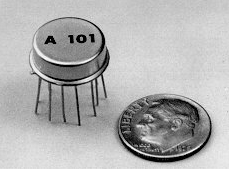 Model A101 is a hybrid charge sensitive preamplifier, discriminator, and pulse shaper developed especially for instrumentation employing photomultiplier tubes, channel electron multipliers and other low capacitance charge producing detectors in the pulse counting mode. 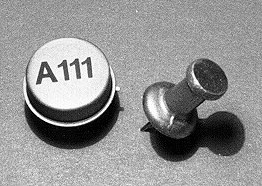 The A101 is widely used in laboratory and commercial applications for mass spectrometers, laboratory and research experiments, aerospace instrumentation, medical electronics, and electro-optical systems. 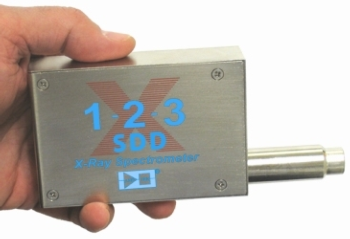 The X-123SDD represents the culmination of years of electronics and X-ray detector innovation and development at Amptek. We remain focused on creating small, low power, high performance instruments while keeping them simple to operate. The X-123SDD epitomizes this philosophy by providing in a single package the XR-100SDD Silicon Drift X-Ray Detector and its Charge Sensitive Preamplifier; the DP5 Digital Pulse Processor (DPP) with pulse shaper, MCA, and interface; and the PC5 Power Supply. All that is needed is a +5 Volts DC input and a USB, RS-232 or Ethernet connection to your computer. 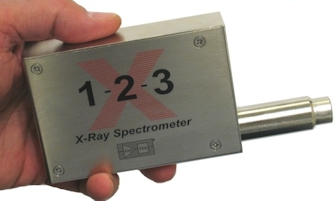 X-123 represents the culmination of 14 years of X-ray detector development at Amptek. Our philosophy has always been to create small, low power, high performance instruments while keeping them simple to operate. The X-123 exemplifies this philosophy by providing in a single package the XR-100CR X-Ray Detector and its Charge Sensitive Preamplifier; the DP5 Digital Pulse Processor with pulse shaper, MCA, and interface; and the PC5 Power Supply. All that is needed is a +5 V DC input and a USB or RS-232 connection to your computer. The N1068 is a 16 channel Programmable Spectroscopy Amplifier with Time Filter, 30% Constant Fraction Discriminator (CFD) and pile-up rejection, implemented in a single width NIM module. This module is designed to be used with Silicon, Germanium, and many other detectors types connected to charge sensitive preamplifiers. Also adapted for fast unipolar input signal like PMT and all fast charge detectors. Available dedicated version for germanium detectors: N1068GE.The first stage of the Amplifier circuits is the polarity selector circuit which select the positive or negative input polarity. Follow two different sections which provide the Energy and Timing information. DP5G Kit - Amptek Inc. 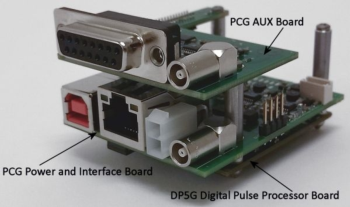 The Amptek DP5G Kit is a state-of-the-art, high performance, low power digital pulse processor designed for use in scintillation spectroscopy systems. 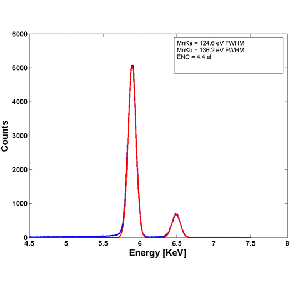 Connected to the anode of a PMT, it includes a charge sensitive preamplifier and a digital pulse processor, which replaces both the shaping amplifier and the MCA in a traditional nuclear spectroscopy system. The kit includes all the power supplies necessary to power those circuits and uses standard connectors for easy of use (USB, Ethernet, etc.). The DP5G offers several advantages over traditional systems, including higher performance, enhanced flexibility, small size, and low cost.